Perdigones are nymphs tied by Spanish fishermen and are used in rivers with very high fishing pressure where fish are educated. It is easy to catch fish in the first part of the season when water level is a little bit high because the fish will not see you very well and needs energy after a long Winter. But in Summer when rivers are crystal clear and will hide right away after seeing any suspect shadow the fisherman will catch fish very difficult. To go down in deep pools or close to the bottom in fast currents you cannot use big nymphs because will spoke the fish . You need a different approach and the Spanish guy founded this solution, to add over sizes tungsten beads according with the size of the hook. A few turns of thread or glitter thread and one layer of UV tying Resin and will make the flies to sink fast . Is well known that traditional materials like dubbing and feathers barbs and biots are water resistant. The proportion of adding material like dubbing to give silhouette and volume will make the fly sink slower. Use a thread, make a very slim body and cover it with UV resin and the fly will sink fast and will not as half water resistant like a classic nymph. 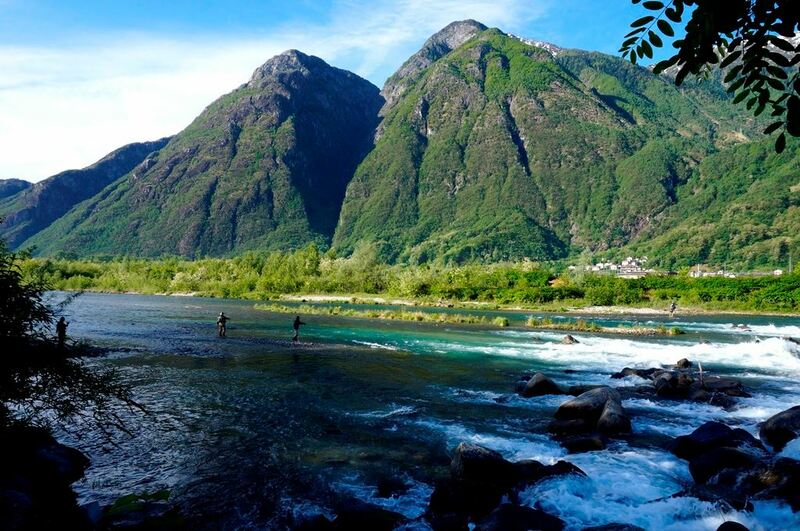 Now in June when outside is hot like hell and waters are staring to have low levels I prefer to fish in Lombardia – Italy using these flies. On river Adda and Mera and of course on tributary rivers as well you will met a lot of fishermen and fish started to be more and more educated. So keep a low profile, fishing with delicate tippets and small flies will give you results. 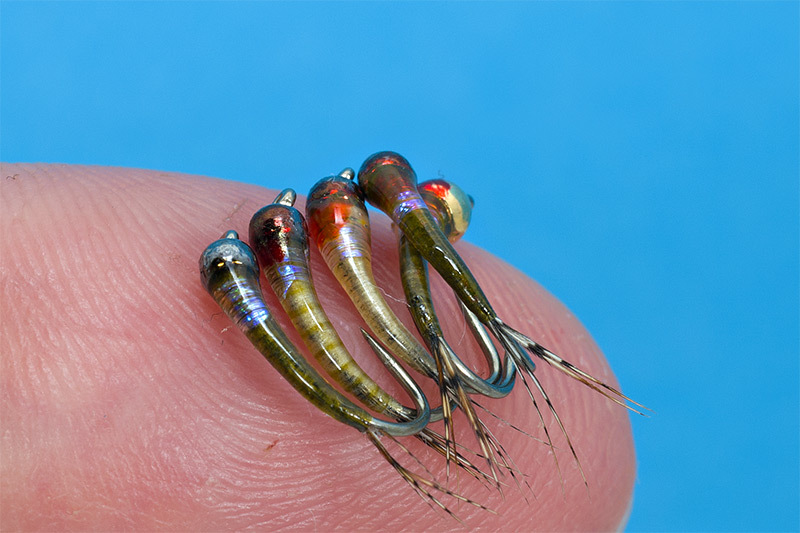 Bellow are a few nymphs tied on curved hooks : Maruto Dohitomi C46WBL, I didn’t used over sized beads because I will fish in low deep rivers using it in team with another nymph. I made a hot spot using UV Ribbing material in white pearl. I added a red spot with a red permanent marker also to increase the contrast. The fly is very close to the natural types but also is tied like a stimulator type, to make the fish curious . If you do come, do let me know. It would be nice to cross paths (not really sure can you say that in English). The dsaidvantage is that Finland is much more expensive country than for example Czech Republic. Lucian, me podrías explicar el montaje de la microninfa al estilo perdigón. Un saludo y gracias.